Author: Doug Tippin; Softback; Copyright: 2004; number of pages; 131; Publisher; Riley County Historical Society; ISBN; 0-9677686-4-0. 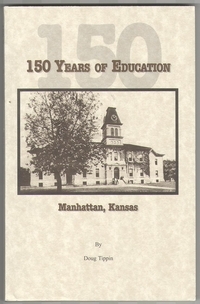 This book was written to record the history for the schools of Manhattan, Kansas. The information begins in the year of 1855 and continues until the present.